The Health and Safety Executive (HSE) has increased its fee for intervention (FFI) hourly rate from £129 to £154. FFI was designed to recover costs incurred by the HSE during regulatory action against organisations that fail to comply with safety and health law, thus transferring the financial burden from the taxpayer to the business. The new charge came into effect on 6 April and it is the second increase since the scheme was introduced in October 2012. The rate first went up in 2016, from £124. In a statement, the HSE said this can be attributed in part to the fact that the scheme has operated recently at a deficit. In 2017/18 the HSE reported a £1.9m loss from running FFI after the £15m it generated from fines to businesses was offset by its operating costs, which totalled almost £17m. It said: “HSE’s cost recovery rate for FFI will increase to £154 per hour with effect from 6 April 2019. This means that businesses that are found to be in material breach of health and safety law will be charged at this new rate. As now, those businesses that meet their legal requirements will not pay anything for HSE’s regulatory activity. A material breach is defined by the HSE as “something which an inspector considers serious enough that they need to formally write to the business requiring action to be taken”. 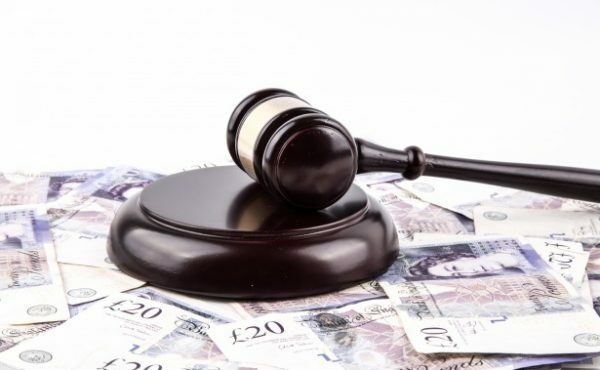 Charlotte O’Kane, associate at law firm Pinsent Masons, said: “The fee was originally £124 per hour to cover inspectors’ time and that went up [in 2016] to £129 per hour, which is a relatively small increase. This is a much more significant jump and I think people will notice the difference in their FFI invoices given the roughly 20% increase in the hourly rate for HSE inspectors. Under the scheme, the HSE only recovers costs of its regulatory work from non-compliant dutyholders found to be in material breach of safety and health law. The fee covers an inspector’s time spent identifying and resolving the issue, as well as any investigation or enforcement action up to the point where HSE’s intervention has been concluded or a prosecution is started, or a report submitted to the Procurator Fiscal in Scotland. It is calculated by multiplying the time spent on FFI activity by the hourly rate.